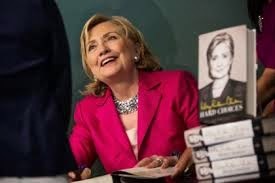 The term "unmitigated disaster" fails to accurately describe Hillary Clinton's book tour. Like most of us, Hillary is her own, worse enemy except that she has more baggage and a long paper trail of negative comments that can be used against her. I've notice the MSM is even giving here a difficult time and Hollywood comedians are making fun of her.